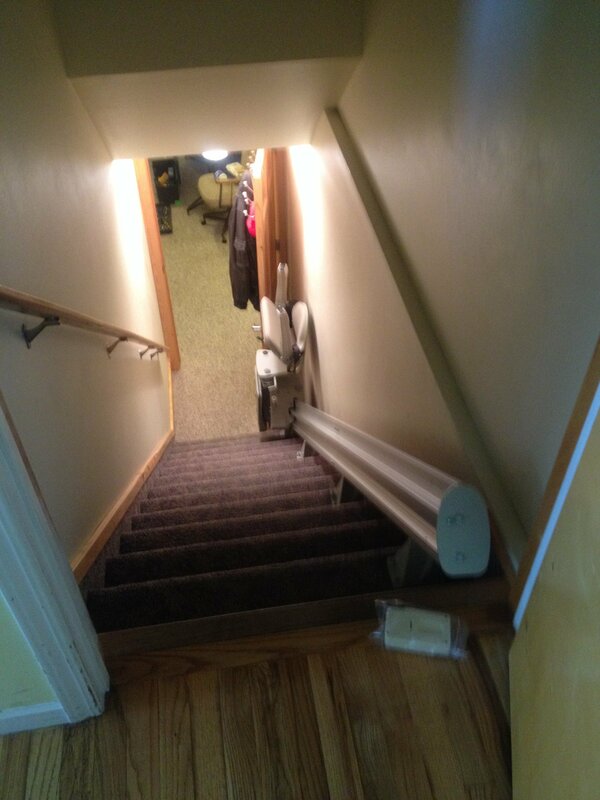 This chair was installed down to the basement in Clinton, Utah with plenty of room for the door to close. The Bruno Elan is the only chair lift that only needs 3-4 inches at the top of the lift. The door could be closed with the lift in the top position. 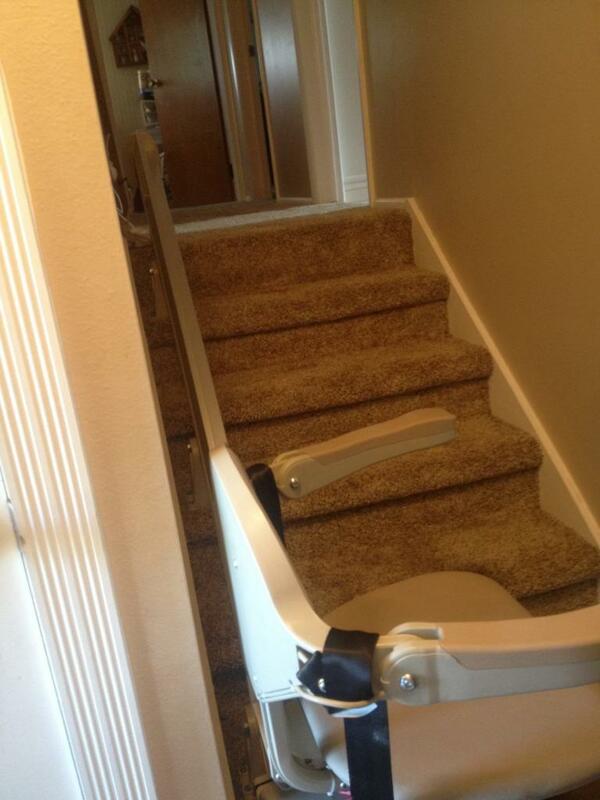 A second stair lift to the upstairs was also installed. The installers were gentlemen when they put my Bruno lift in. It was done in a very timely manner. I use my chair and try to get others to use it as well who are looking or when they come to my house. Alice B.